Here is another franken that I created using the course grade 1500-35 Spectraflair. b) I now have a crap load of spectraflair I need to off load to pay for it all! So I hope that is ok with everyone. I have called this Swamp Crystals. 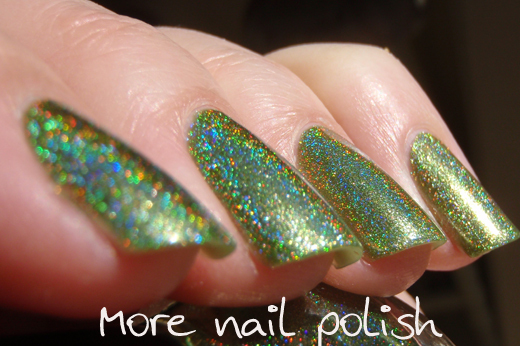 It's a metallic green holo. The recipe for this one is as follows. Again it is in a 5 ml bottle, so please multiple as required. 2 drops of Kleancolor metallic black. fill the remainder of the bottle with clear. 3 incy wincy straw spoonfuls of Spectraflair coarse grade - as per the picture in my last post. The spectraflair does mostly settle in this one when made without suspension base, but it didn't take too long to shake up again. My method to shake them up is to stand them upside down for 10 minutes, then shake, this seems to get the spectraflair off the bottom quicker. I love the fact that this is metallic as well as being holo. It's so shiny. 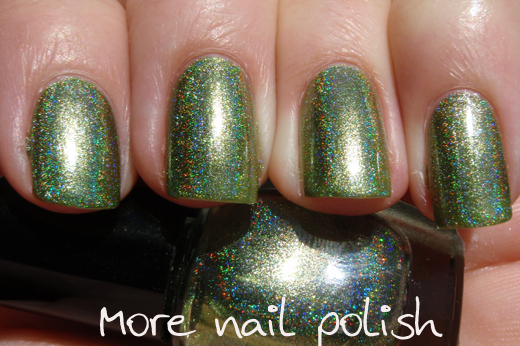 There just aren't enough green holos in this world and I'm really happy with how this one turned out. 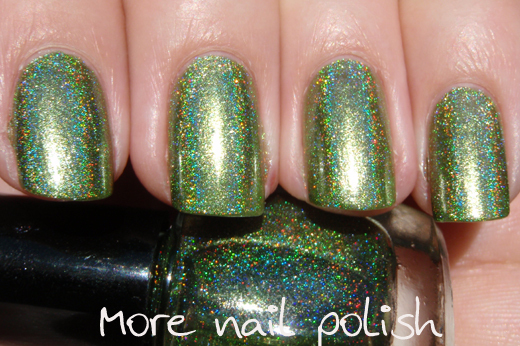 Green + holo = magic! That's lovely! 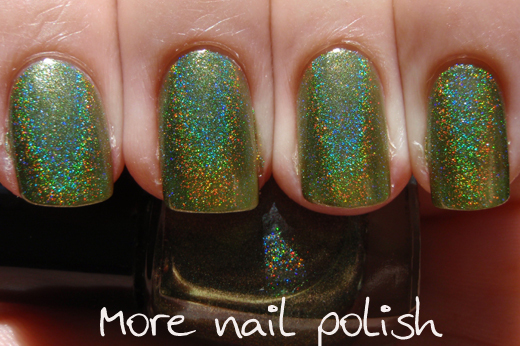 I've never seen a holo in that shade of green. 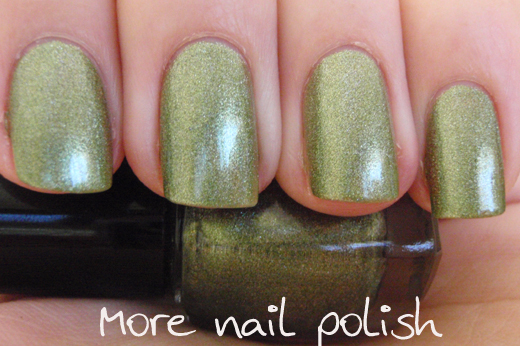 I do not like green, but this is like an olive green holo which looks awesome!!! this is super pretty!!! 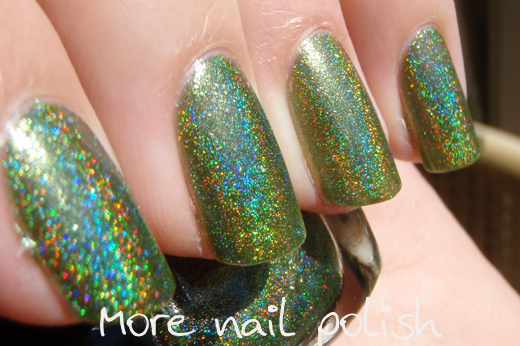 i am in love with holo!!!! Who knew KC was good for spectrafrankens! Ok now that is just amazing...I am so trying this one! !